I'm looking at a flight from China to Mexico and I'm just checking the rules and prices for now. I'm not ready to commit. I know many airline websites have hidden fees that they don't show you until as late in the booking process as possible. I've found the cheapest dates and began the booking process and the site tells me some fees including taxes, but no mention is made whether luggage is included, or how much. Since Air Canada is not an LCC maybe I have nothing to worry about and luggage is included. But lately every booking I do includes at least one evil price surprise. How can I find the luggage prices and rules for the flights I found without filling in my personal details to go further into the booking process? Edit: on second reading, perhaps you made a typo and wanted to ask about international Air China allowance. 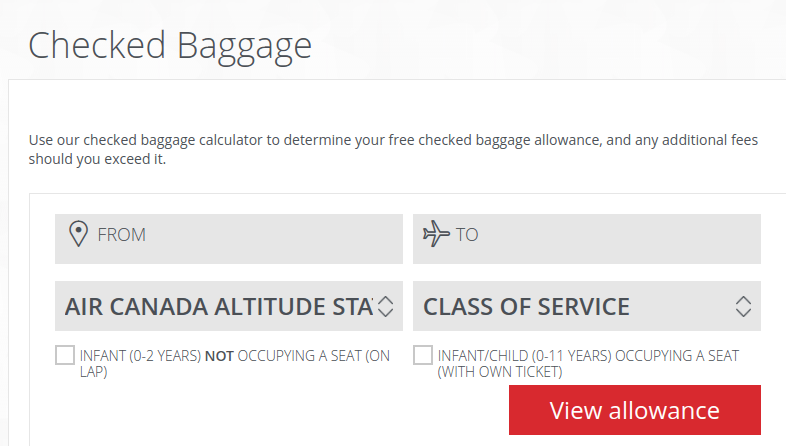 Original answer: Enter the flight details into this handy Air Canada page and it'll show the information you are after. Not the answer you're looking for? 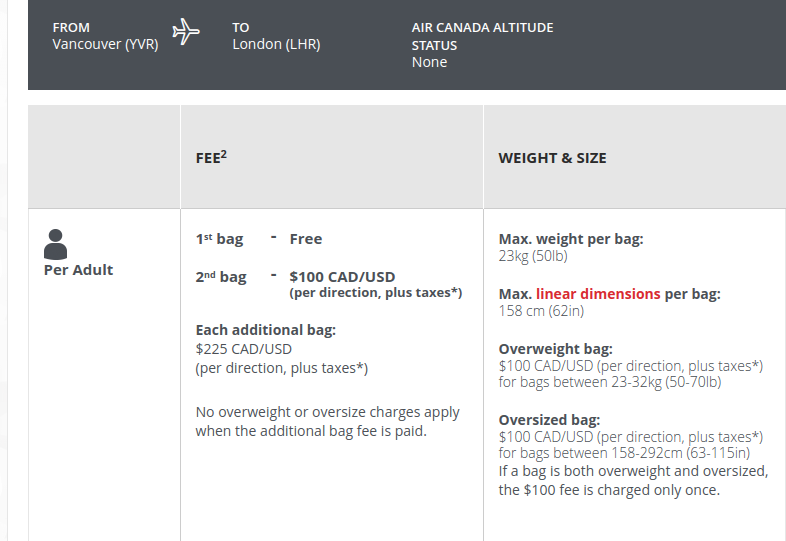 Browse other questions tagged luggage online-resources fees-and-charges air-canada or ask your own question.